Jordy Liz Blogs: The Story of Us: The year before. The Story of Us: The year before. It’s no secret that I’m a fan of bookstores. I tend to buy more books than I could possibly read and more journals than I could possibly fill. I have high expectations but can’t ever seem to find the time to meet them all. In late April of 2008, I was in a local second-hand bookstore with Rachel. I was perusing the aisles for nothing in particular, like I always do at any place that has cute things to buy, and came across a section of journals. Like I mentioned, I tend to overbuy journals and by no means needed yet another one to collect dust. Writing is one of my passions and I have a drawer full of journals only halfway full because I came across a newer, brighter one at some point in the middle of venting to the lined paper. I feel guilty that I don't fill them all to the brim with words, but not guilty enough to quit the habit. For the few months prior to this outing, I had on my heart a longing to make a list of what I wanted in a future guy. Of course, this guy would come long, long down the road. I am a list-maker by default so it was only natural for me to put this list into words and onto paper. 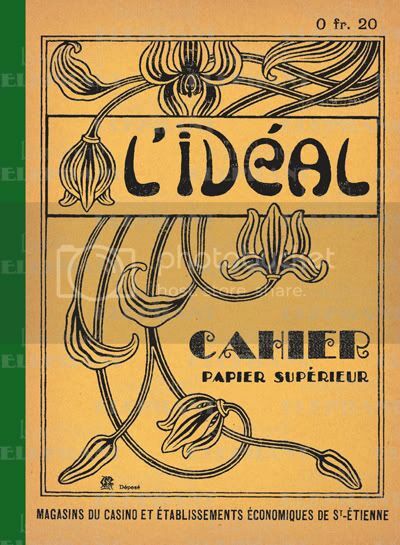 As I skimmed through the selection of petite notebooks, I came across a golden yellow one with the word “L’ideal” written on the cover, meaning “The Ideal” in French. It was a conservative twenty pages and a mere few dollars so I decided that this would be the notebook for my list. I paid for it and went next door to the conveniently located coffee shop. Rachel and I sat down at a table with my crisp, new journal, her handful of cards that she was writing to friends, and our drinks and treats of choice. I opened the front cover and skipped to the last page. I needed to set some things straight before I started rambling off requirements. I would later be glad I did this in the many moments where I literally needed my responsible-and-reasonable-adult-self to talk to my dramatic-and-over-thinking-girl-self and just get it together. All I would have to do is tell myself, "Go read that page." And then I proceeded to list eighty-eight things I wanted in a guy. I know what you’re thinking. Eighty-eight is ridiculous and over-the-top, right? A lot, yes. Too many, no. I'll have you know that only one of those bullet points on that long list was superficial: "…is taller than me when I wear heels." I think that’s completely fair. And I don’t even wear heels that often. The other eighty-seven? Matters of the heart. I added to this list through October to make it a grand total of one hundred and seven. The one superficial item on the list remained the only superficial item on the list. And I am so glad that it did. I had a list too :) And now I have a lovely husband who filled the list and then some! It was funny how the Lord brought him into my life just at the point where I had decided I didn't need a husband for a very very long time. Can't wait to hear the rest of your story! I have alist, and I gave a copy to my mom and my best friend so I can never allow myself to compromise. I think everyone should!! This is to cool. I had made a list and put it away. Several years after I married my husband I found that list. Guess what? He matched it almost perfectly! We have been married for 27 years and have weatherd some big storms but he is my best friend and we respect each other. Can't wait to read more. Your Mom has done an incredable job raising you kids!